The Corvus suite of products and our experienced implementation team can create a solution that suits the unique requirements of your business - our experience spans from empowering HR teams to increasing productivity of production lines - have a look at some of the examples of how Corvus can help your business below. Supervisors can work more efficiently and oversee problems as they occur. Corvus Wall allows for Short Interval Control (SIC) from a mobile device. 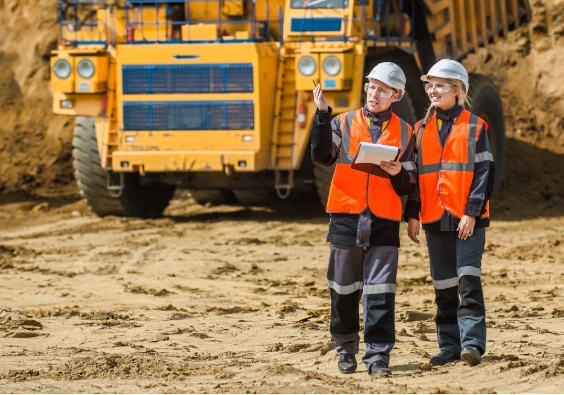 It goes beyond short interval reporting, allowing supervisors to comment and interact directly with operators out in the field, without having to go back and forth from the office. Understand any problems occurring at a glance and in real time. Ensure that KPI’s and targets are being met and exports scheduled and completed on time. Corvus Manage Trains and Corvus Inventory Events allows you to track and forecast the status of incoming and outcoming trains. With complete visibility, track the current status of the stockpile and ensure contractual compliance of vendors. Remove the need for multiple systems to manage people and productivity. Corvus Organiser helps track who is available within crews or units to manage rosters and deployment to tasks and projects. Swap team members between crews, apply for leave and manage training within a single, streamlined system. Labour Utilisation reporting capability will allow sites to visualise and make improvements to labour utilisation by checking against time on equipment, as well as the ability to reconcile contractor timesheets against invoices for inaccurate charges. Measure, track, analyse, report and improve the delivery of maintenance activities, and any resulting loss of productive time. Corvus Resource Events and Loss Elimination allows detailed data collection for consistent and accurate analysis of maintenance and equipment performance. With accurate information, make real improvements to lost time and downtime. Eliminate inconsistency across worksites in end-of-month reporting, so that finances can be reconciled in time. Corvus Workflow ensures standardised reporting and provides one source of truth for corporate financial management. Track the live quality of coal products and improve quality assurance systems. Corvus Data Summary Modules is based on the extensive experience of a team that has worked in mine systems development, business improvement, system integration and mine production analysis. Capture information rigorously over time to measure progress and identify problems early. Achieve ultimate control over plant processing and inventory. Corvus Lean Dashboard forecasts the stockpile for a 24-hour period, visible at any point in time. Automate and improve the goods out process with accurate reporting. The Goods Out module can be incorporated into the Corvus suite to improve warehousing efficiency.